My Home and Garden: Vates Blue Curled Scots Kale...thank God I have some seeds!! Vates Blue Curled Scots Kale...thank God I have some seeds!! 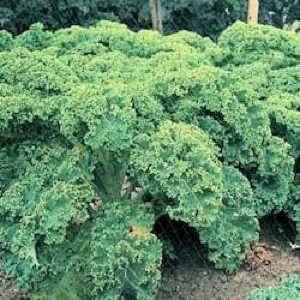 Last winter I was eating kale that came from a Winter Kale Blend from West Coast Seeds. It was so delicious, I was eating it raw in salads. The few plants I had were all the same. I planted some in the spring for the summer garden. I guess I shouldn't have been surprised when Winter Blend had a lot of different types of kale? I wrote West Coast Seeds and asked which variety I was in love with. Vates Blue Curled Scots. So I asked Dig This to bring it in for me. They were sold out and not expecting any more this season. Oh darn. So I planted my Winterbor and was happy with that. Got a call today that my VBCS Kale seeds are in. I am going to plant an awful lot of this kale. I have lettuce from March to November or so, so kale can fill in for those fresh greens free months. You will have to enlighten me on your growing seasons. So - here in the U.S. we are winding down into our fall (or here in Arizona - our late summer). So - can kale grow well into your summer or are you just excited to grow this variety this spring? Hi Jay...I am on Vancouver Island off the west coast of Canada. We actually dip down to Washington state, so our weather is very Pacific NW. We are zone 9a. I planted kale in the spring for summer, but we can grow kale here all year round. The kale I am planting now is for winter greens when I don't have lettuce. That said I am going to do 2 cold frames this year and hope to grow lettuce and spinach all winter. There is a book called The Year Round Vegetable Gardener by Niki Jabbour. She winter gardens in Nova Scotia which has a very cold climate, so I should be able to here!! Oh, also, kale is much softer, juicier and sweeter in the winter. Great for salad. So it's really good tasting? I have not grown this one. Will try to remember it next year....of course I could pretend I was really organized and starting my seed list for 2014 but that would not be the truth )))). Nice plug for Niki's great book!! Brenda, it was delicious. As soon as it started looking like it was heading to seed, it started getting coarse and bitter. But until then....it was delicious. PS I love Niki's book. So glad you told me about it.